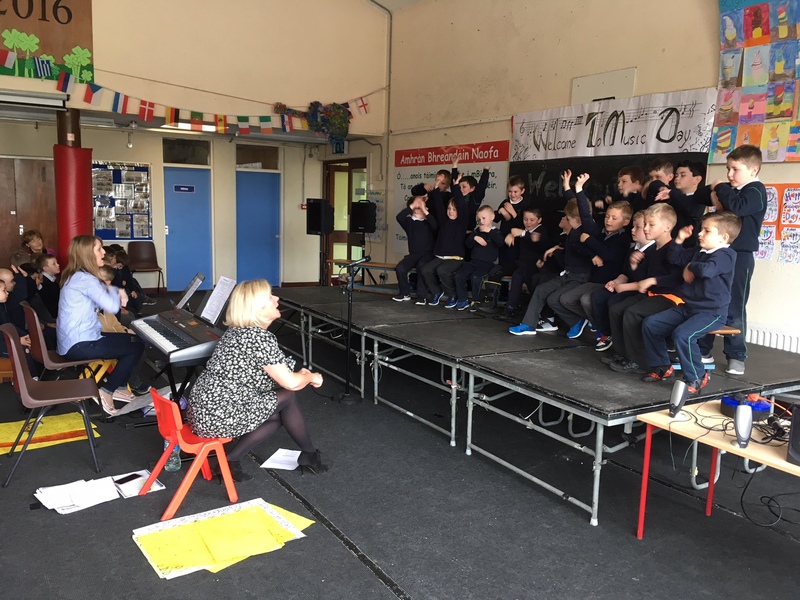 Purpose – To celebrate music in the school.To participate through performing or listening and to give each boy the opportunity to perform on stage in front of his school. 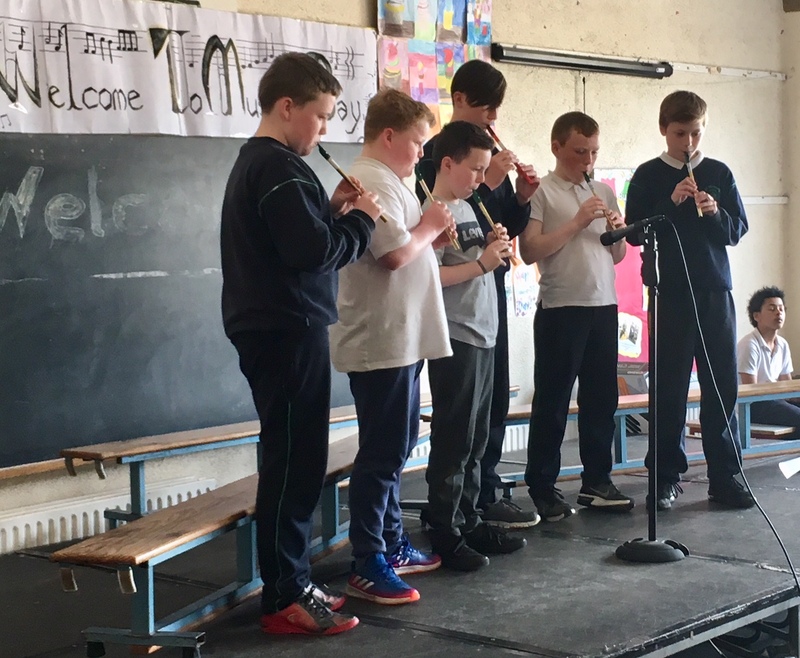 Some parents of boys who are performing solo or instrumental will come in to view but won’t be full concert for families to attend as hall can’t cater for the numbers. 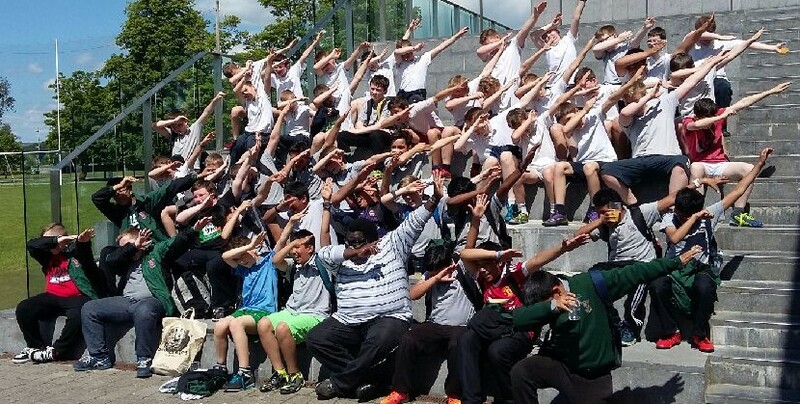 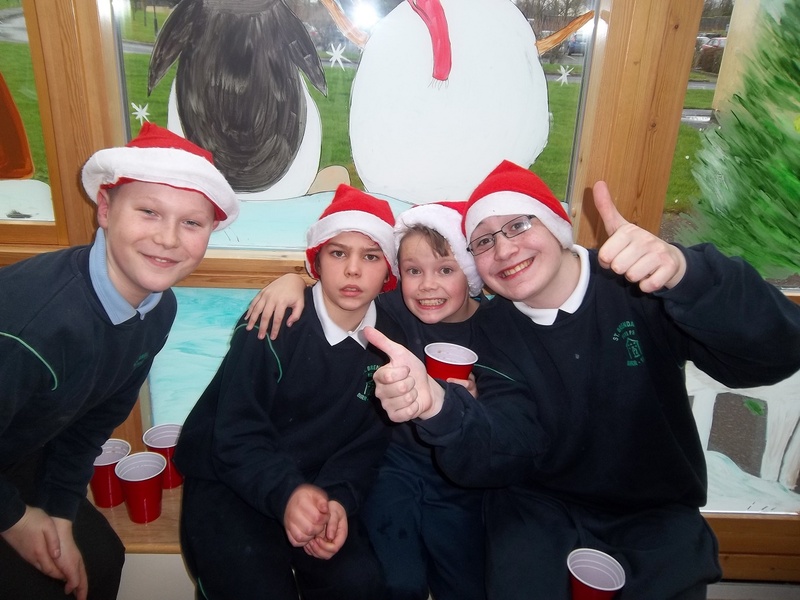 The day belongs to the boys of St Brendans PS- Enjoy ! 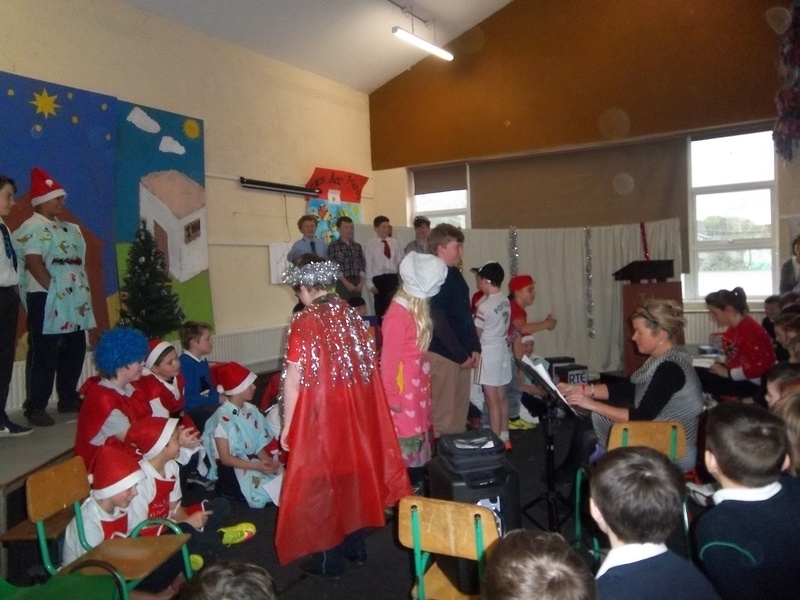 Sos	Please ensure chairs etc are organised in hall if using them. 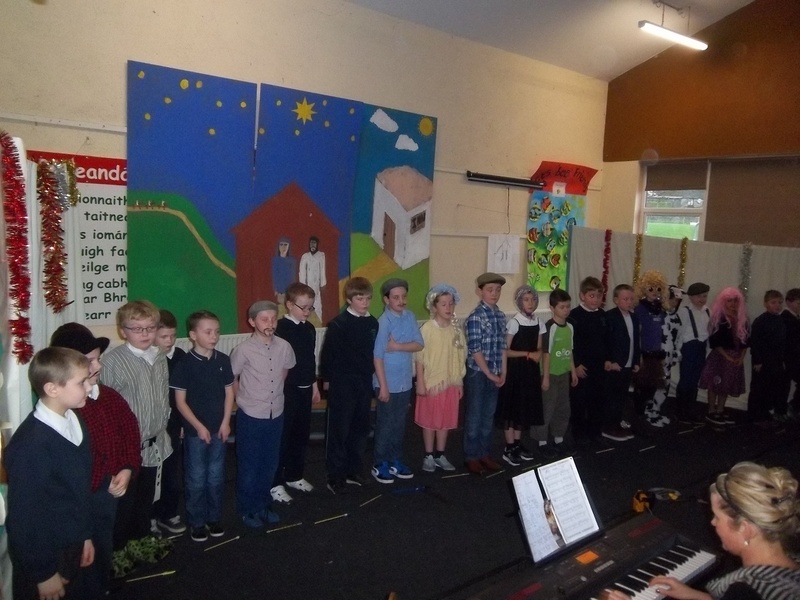 Audience: Ind teachers. 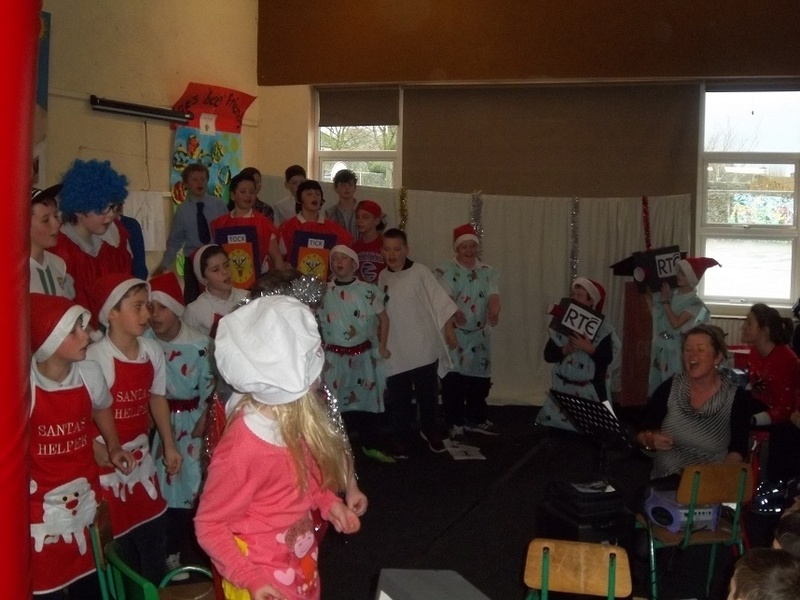 Abhaile ! 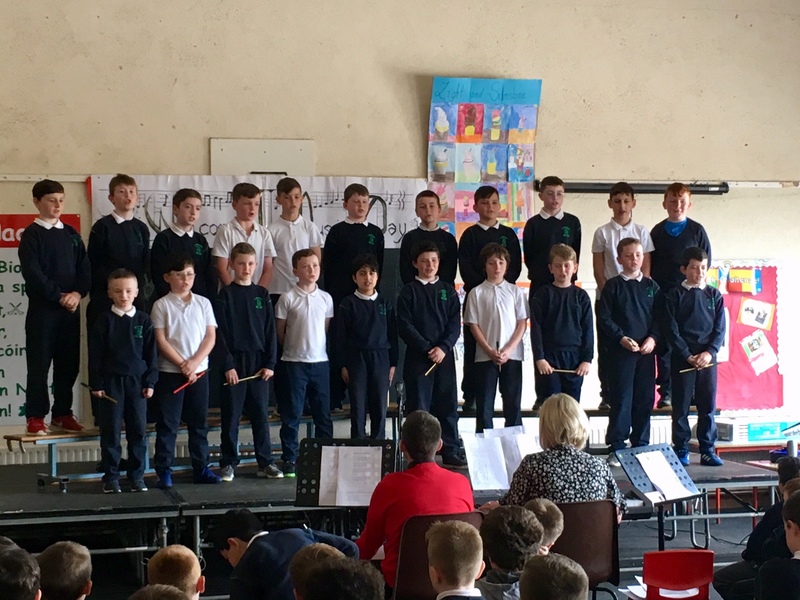 Would be nice to finish up at 2.30 / 2.40 to give classes a chance to go back to rooms and leave them in orderly manner..	Thanks…Pack up…Home!! 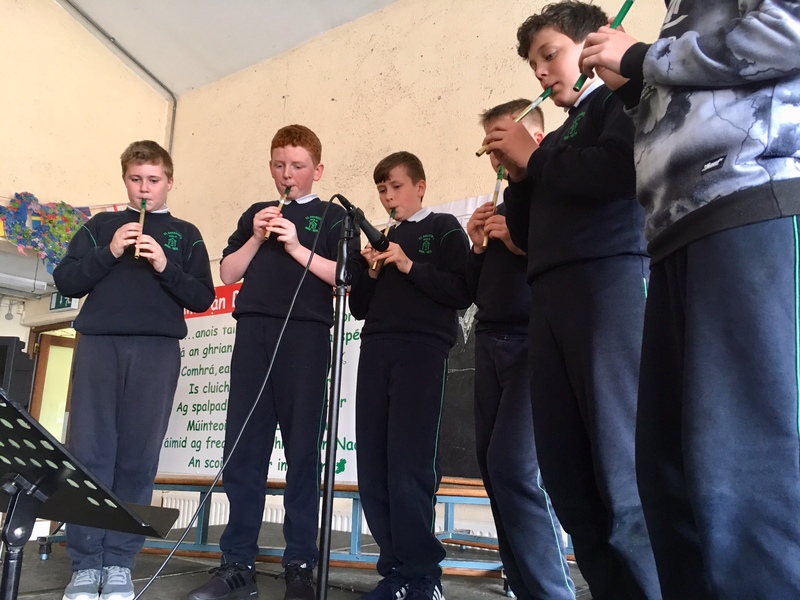 Purpose – To celebrate music in the school.To participate through performing or listening and to give each boy the opportunity to perform on stage in front of his school. 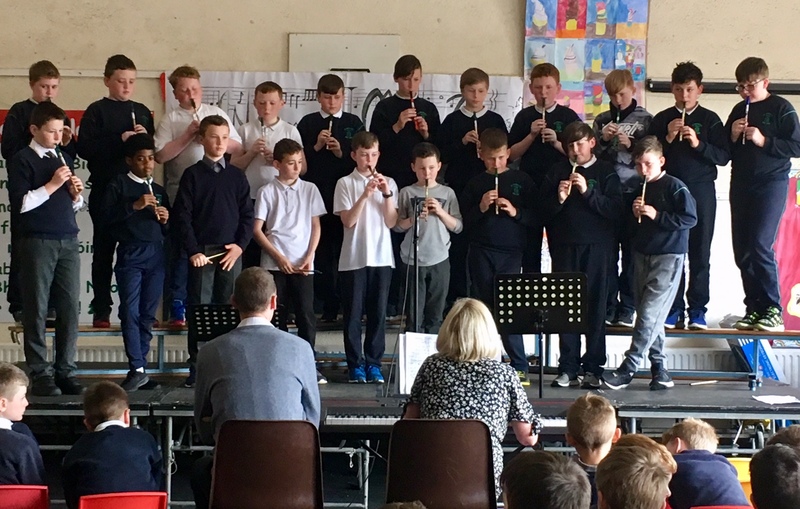 Some parents of boys who are performing solo or instrumental can come in to view but it won’t be a full concert for families to attend as hall can’t cater for the numbers involved. 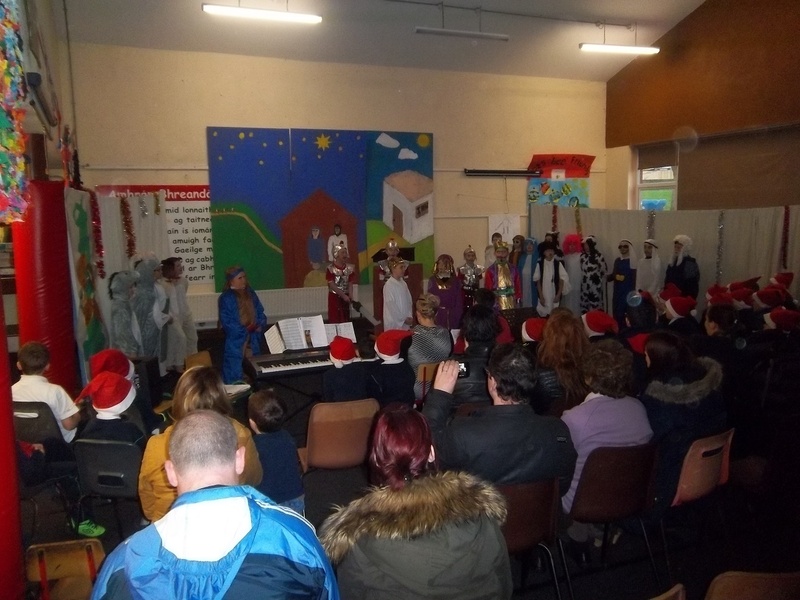 Open invitations to parents for xmas concerts and school masses enjoy such massive support that music day is being kept low-key. 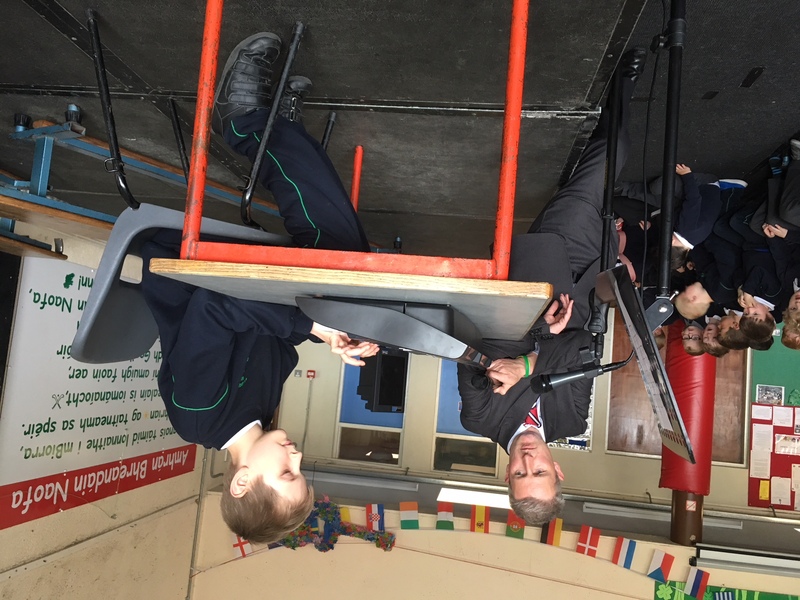 We hope parents can understand this and support this. 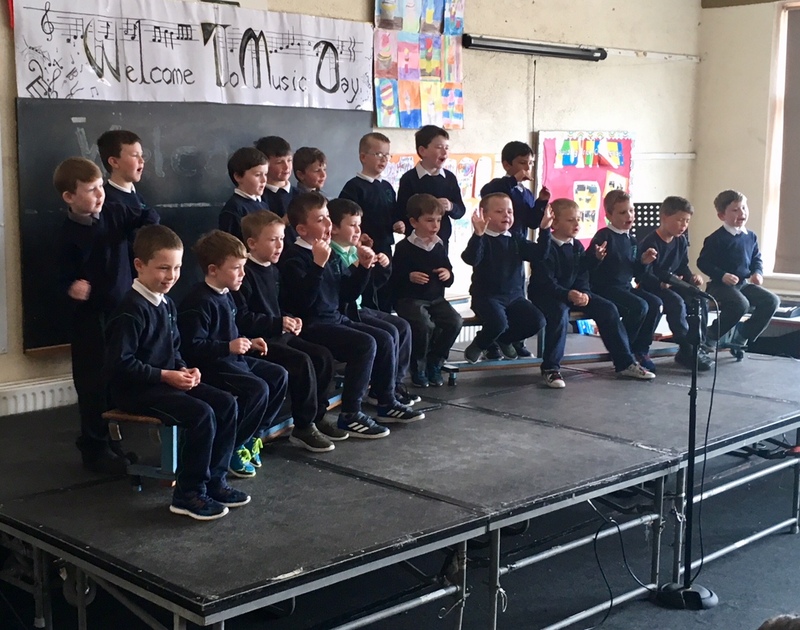 The day belongs to the boys of St Brendans PS- Enjoy ! 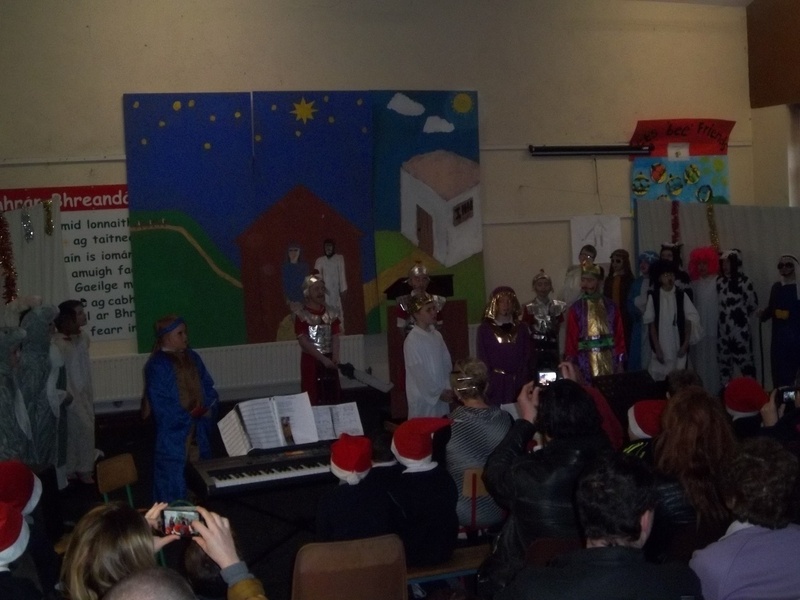 Thanks to all staff involved for their creativity and hard work involved. 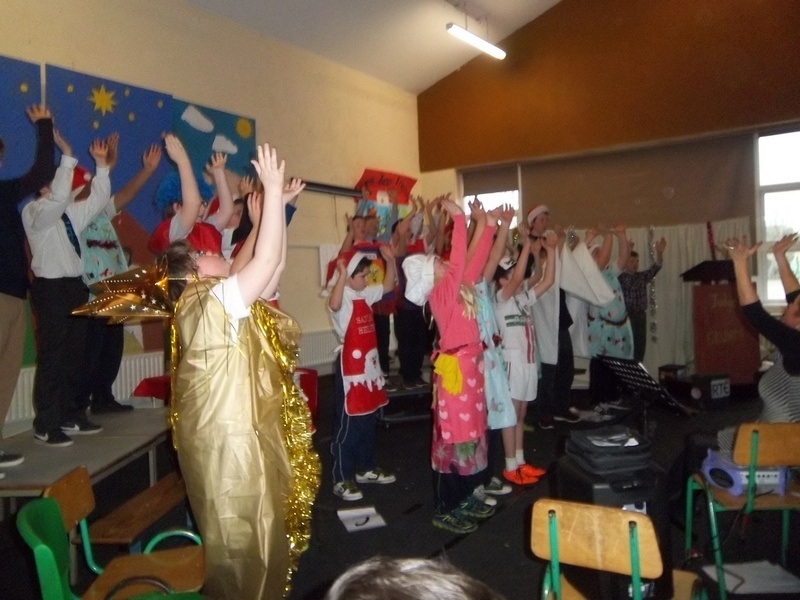 All the boys enjoyed dressing up and performing cheered on by family and friends all week. 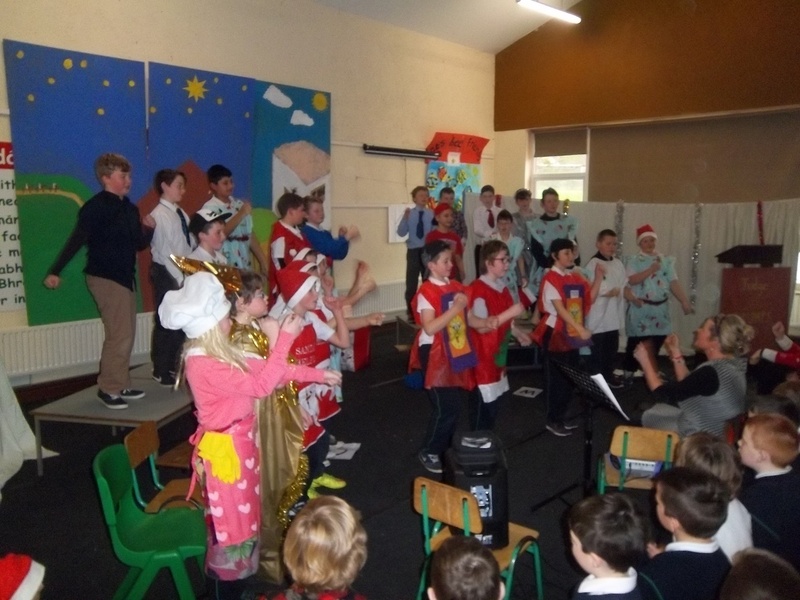 Advent Ceremonies ; In preparation for Christmas we held our Advent Ceremonies in the gym. 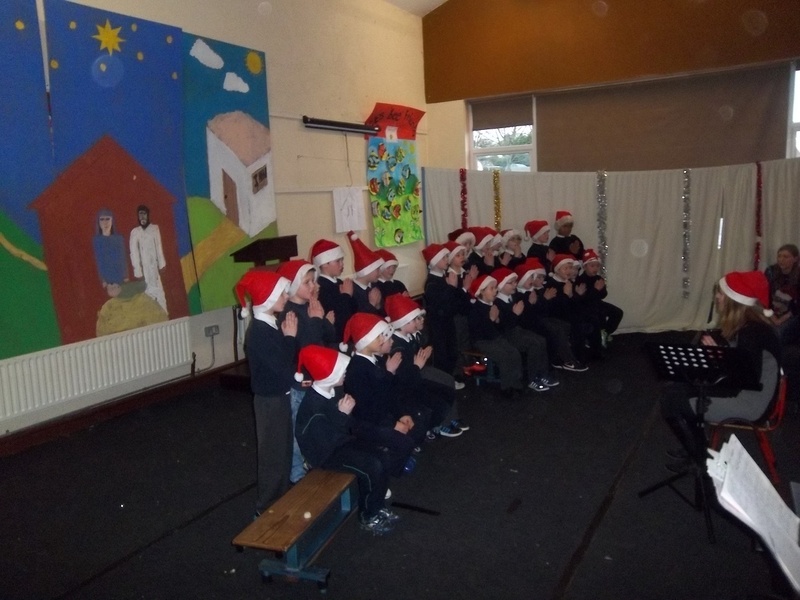 The boys from 3rd / 2nd and 6th classes read the prayers sang the carols and lit the candles on the Advent Wreath. 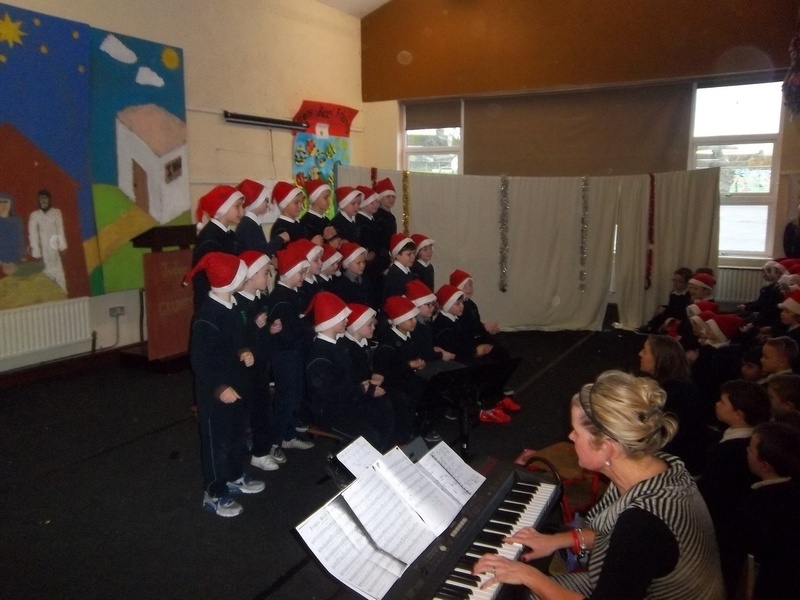 We also got to sing the 12 days. 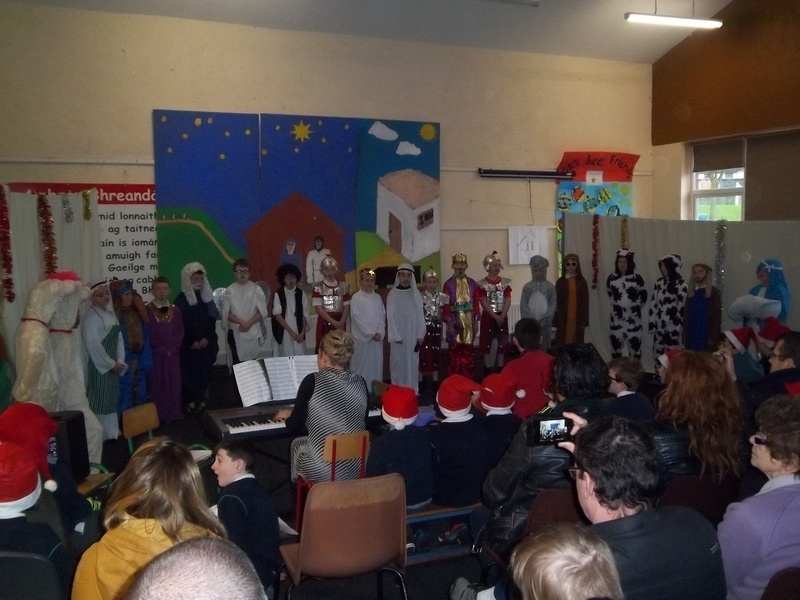 School Crib: Many classes visited our school Crib and relived the Christmas story with their teachers and friends. 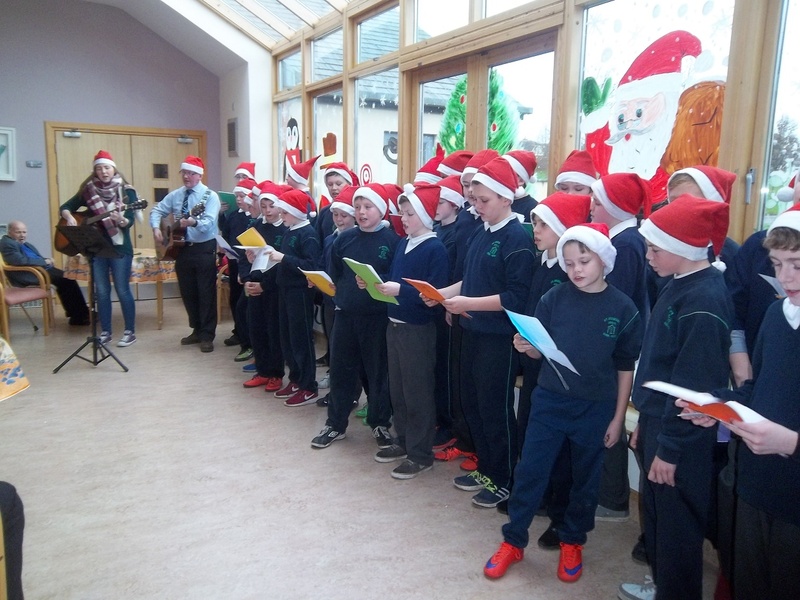 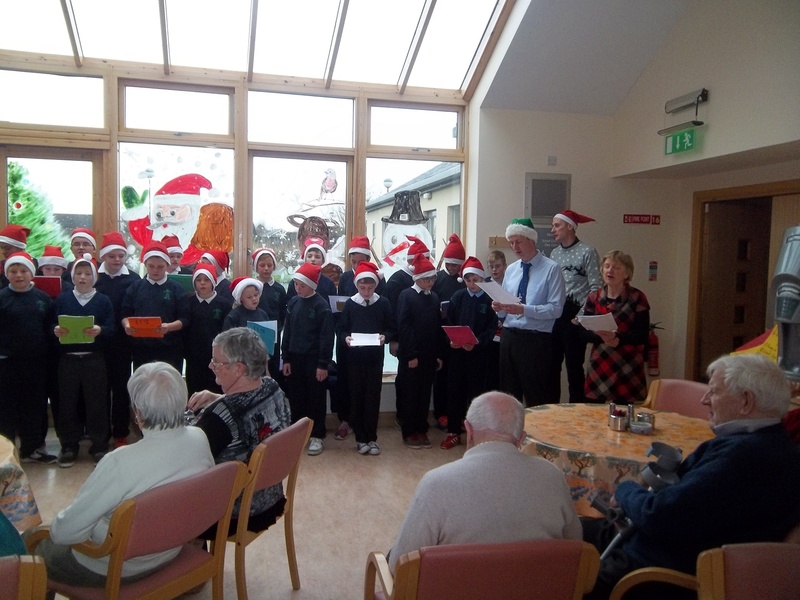 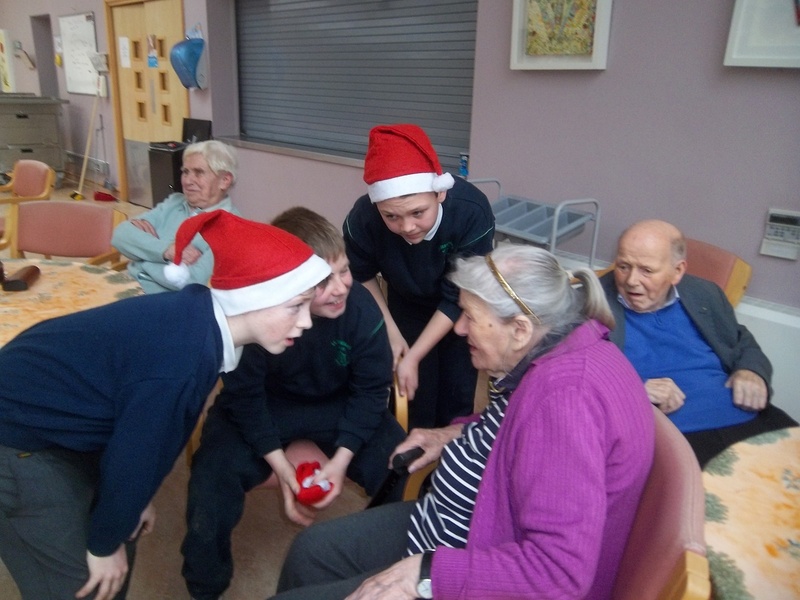 A highlight of the year for our older boys is when Sixth class visit the Community Care Nursing Unit and they sang Christmas Carols for the residents. 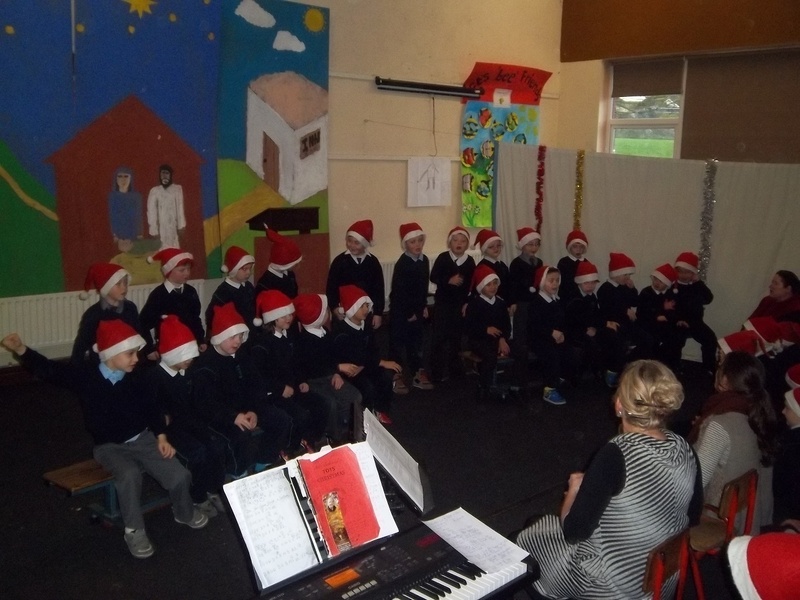 6th class with help from some of 2nd class also sang Christmas Carols as part of the Birr Christmas Lights ceremony. 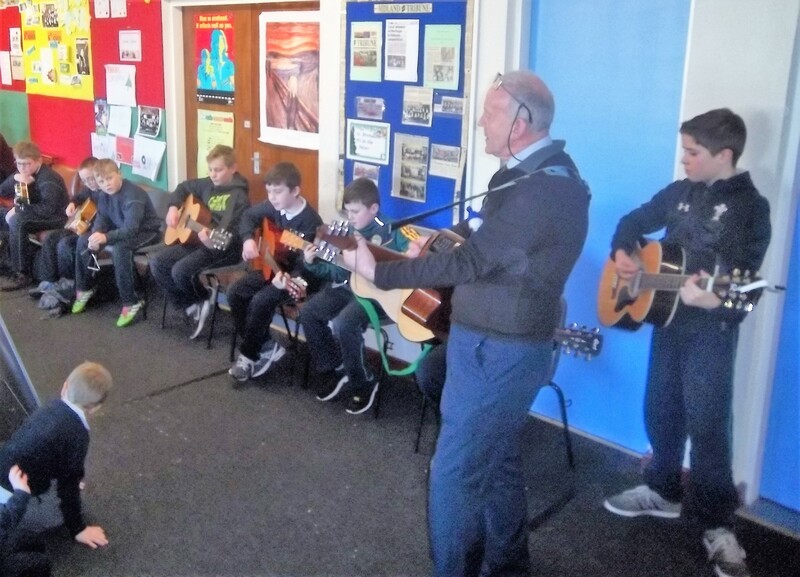 Thanks to Ms. Yvonne Ryan and Mr Kelly for providing the fab music on guitars. 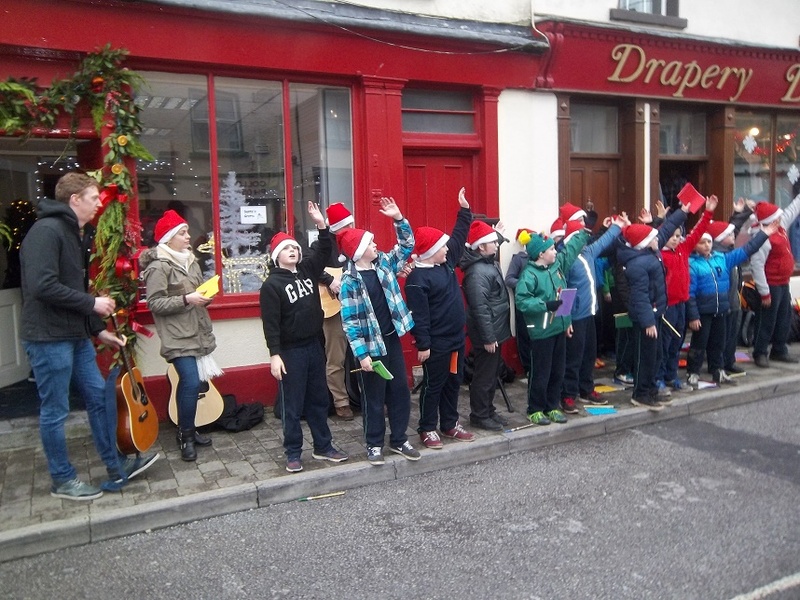 5th Class with Ms Ward were delighted to sing a few songs to welcome santa to Birr and launch the turning on of the lights. 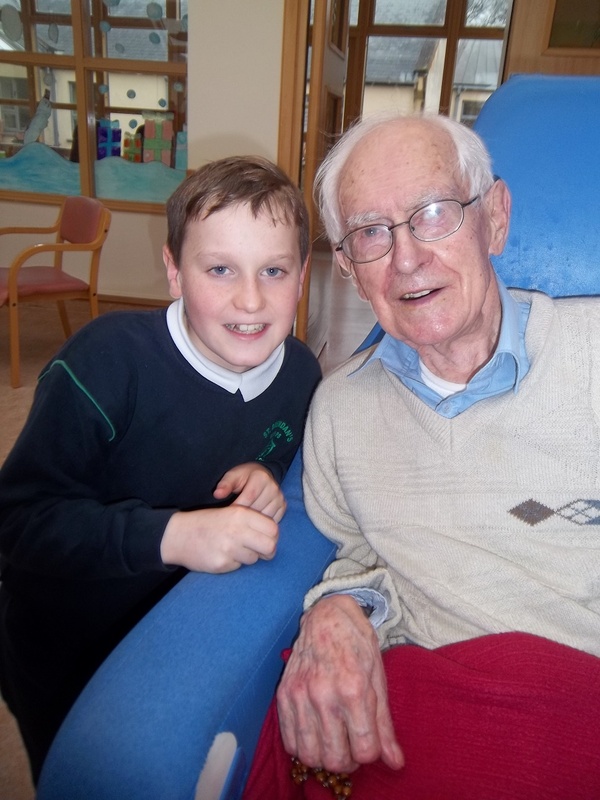 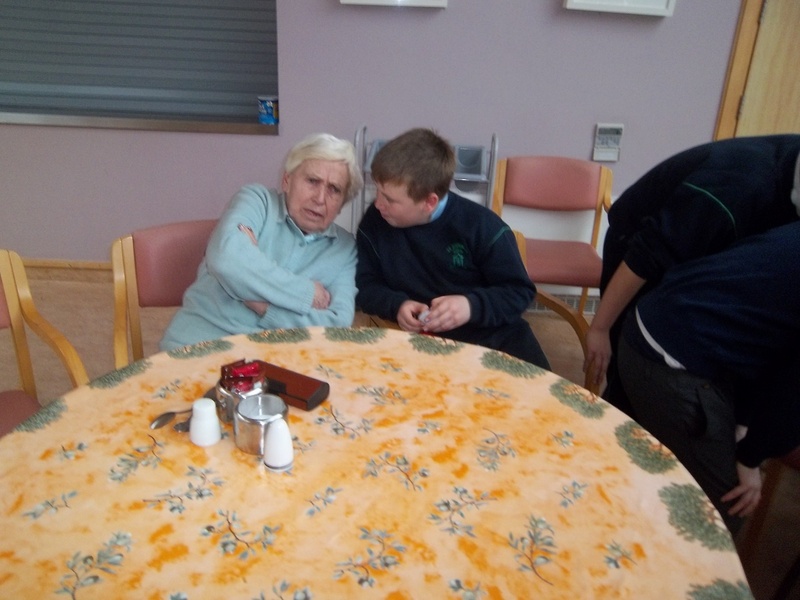 Highlight of the year for 6th class is visit to Sandymount daycare centre. 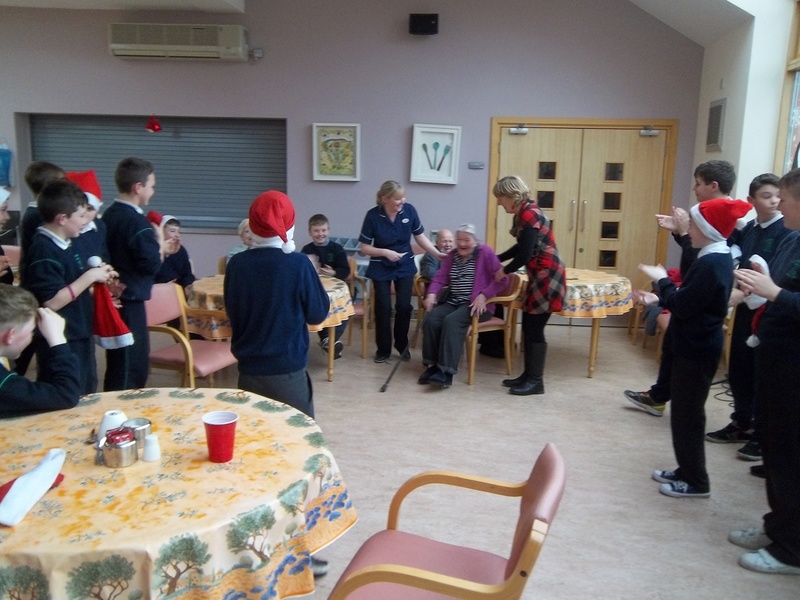 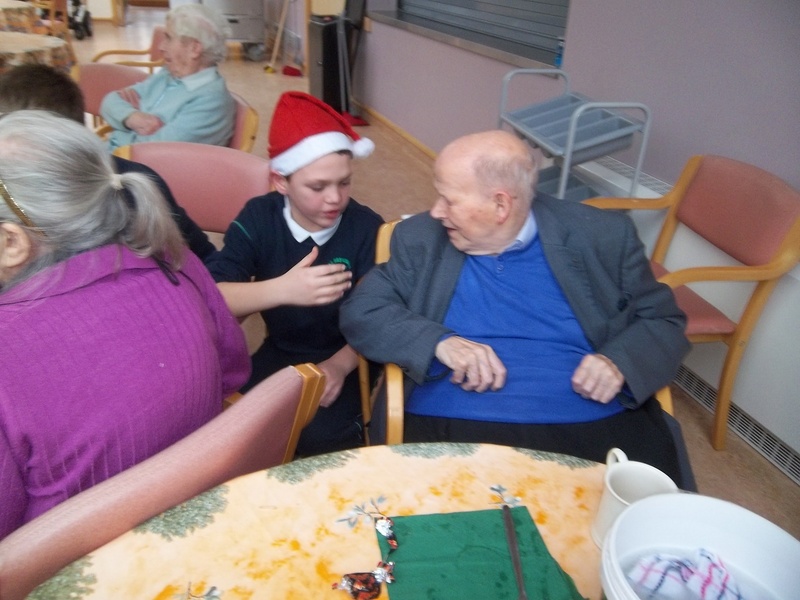 Boys did some carol singing and wished the residents and visitors a merry Christmas. 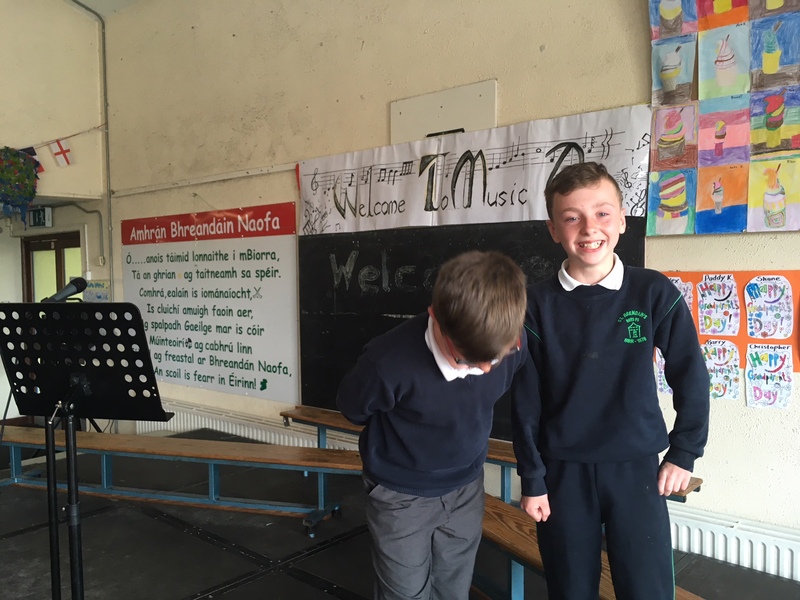 Winner of the design competition for ” St . Brendans Boys Beats” is Aurimas Ozelis from 5th class with a wonderful entry which wowed the judges from the cd committee. 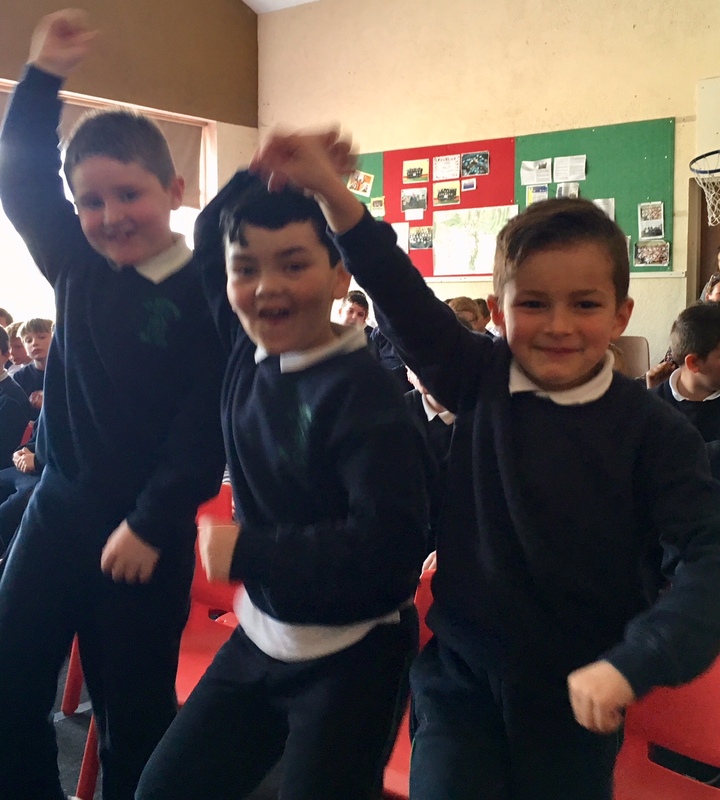 Well done Aurimas – This will be our CD cover ! 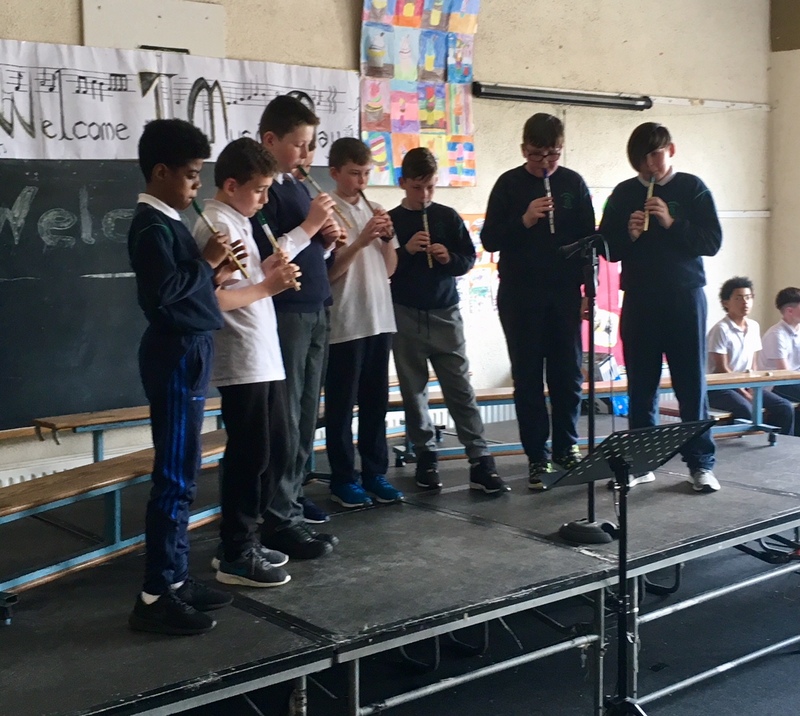 The boys of St. Brendan’s PS had a fantastic day last Wednesday as their school hall was transformed into a recording studio. 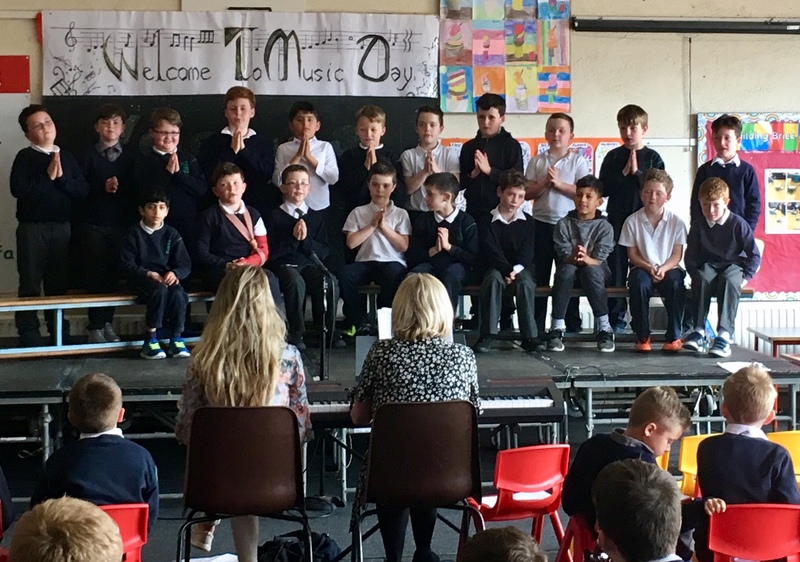 The boys became professional musical artists in their own right as they recorded a school CD titled “ St. Brendans Boys Beats”. 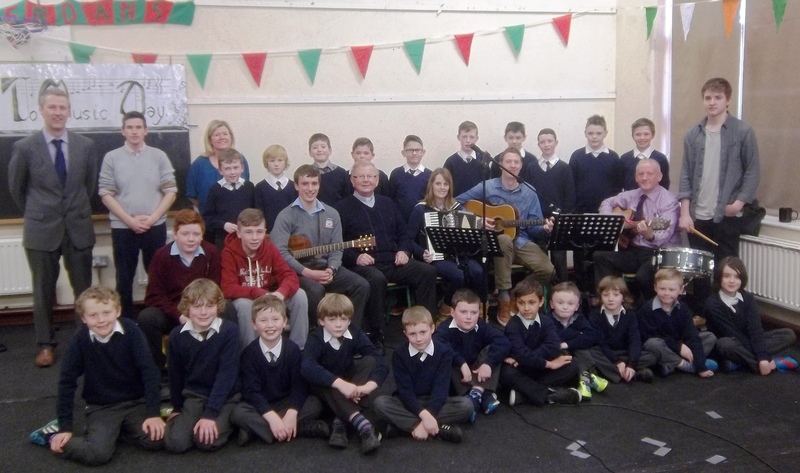 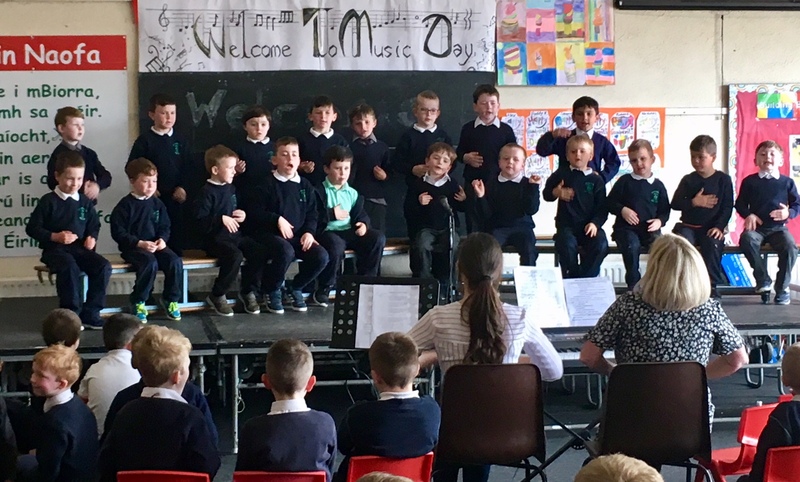 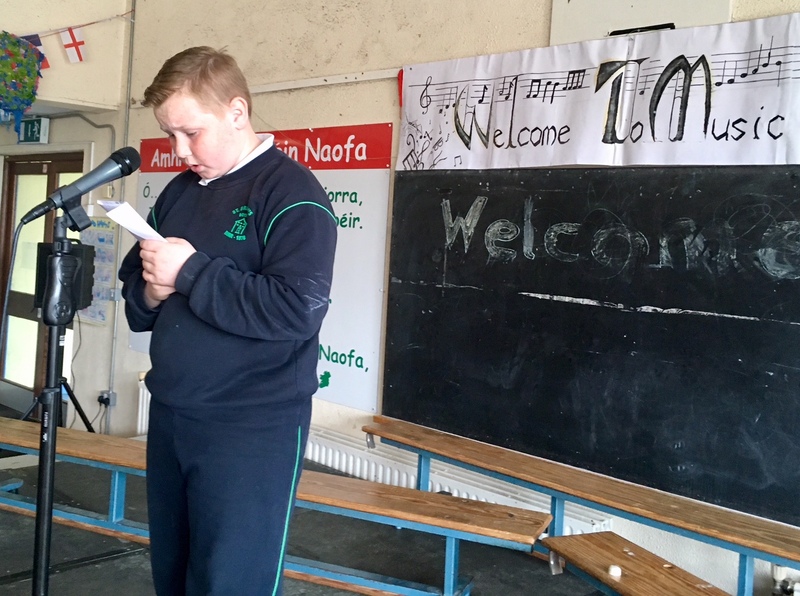 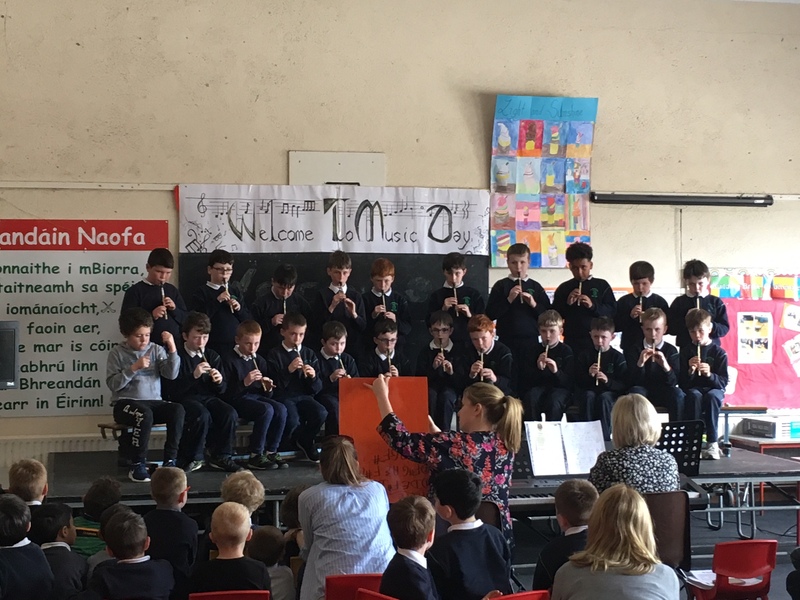 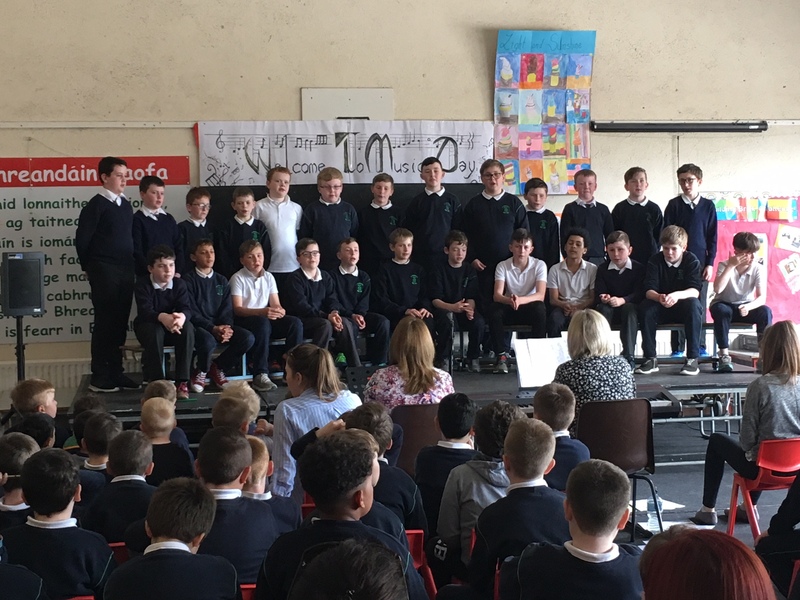 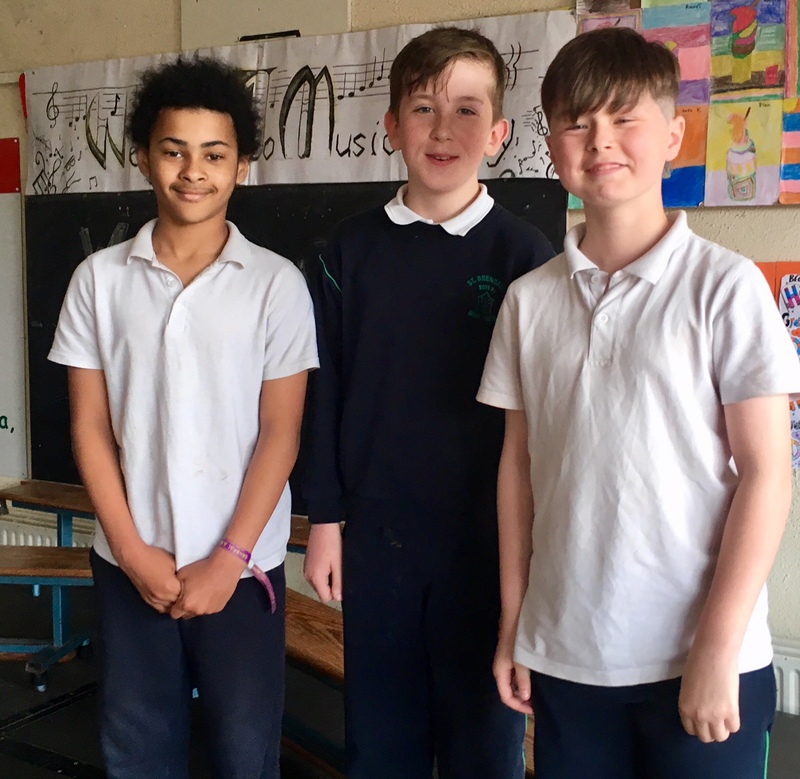 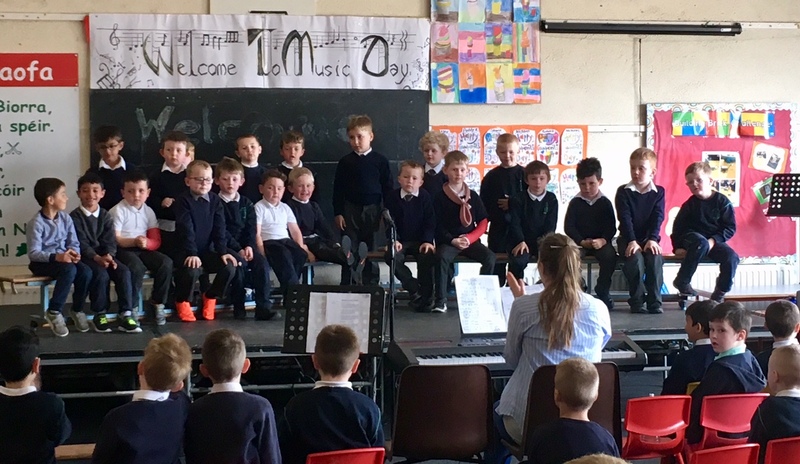 Each and every boy got the chance to sing on the CD as under the guidance and tutelage of Ms. Majella Killeen a vast range of songs were performed and recorded. 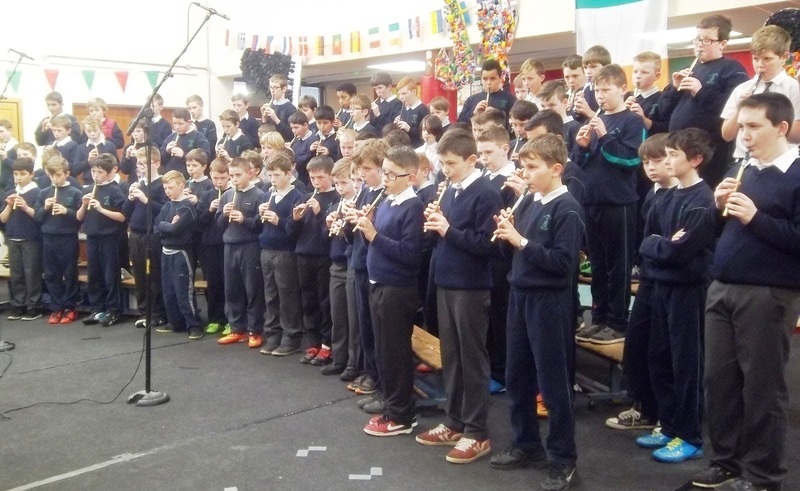 Bringing the magic of recording to the boys was Mr.Joe Molloy and it was a credit to all involved that the 19 songs got recorded on time and on schedule. 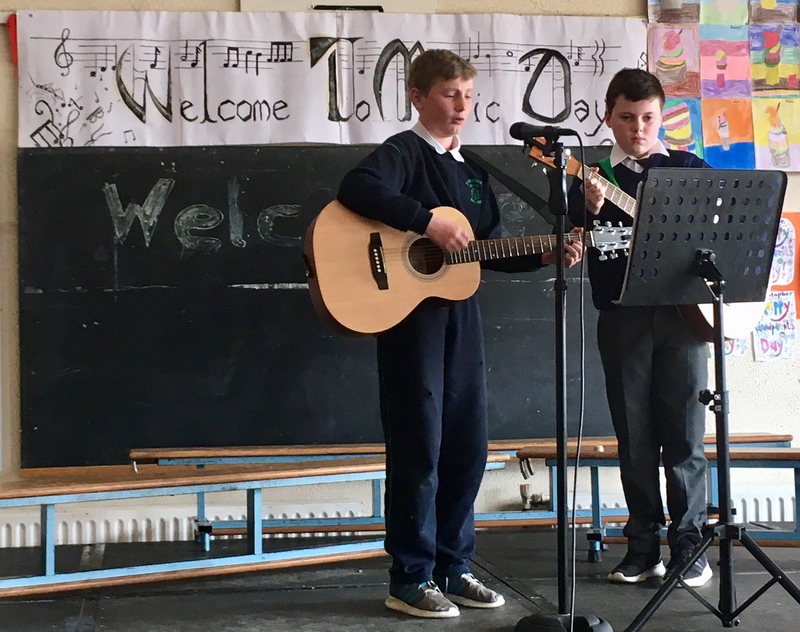 We welcomed a few guest performers in the amazing Ronan Bell on banjo, past pupils Mark , Darragh and Campbell, Fr.Tony Cahir and the staff members that have a love for and talent in music. 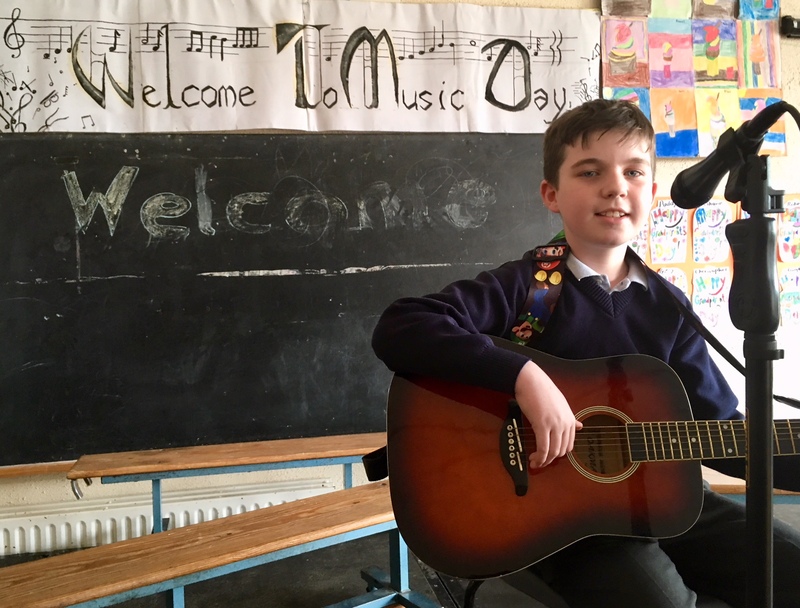 The CD’s are now in production and will be launched with an event in Dooleys Hotel Birr on Thursday 26th March starting at 7pm. 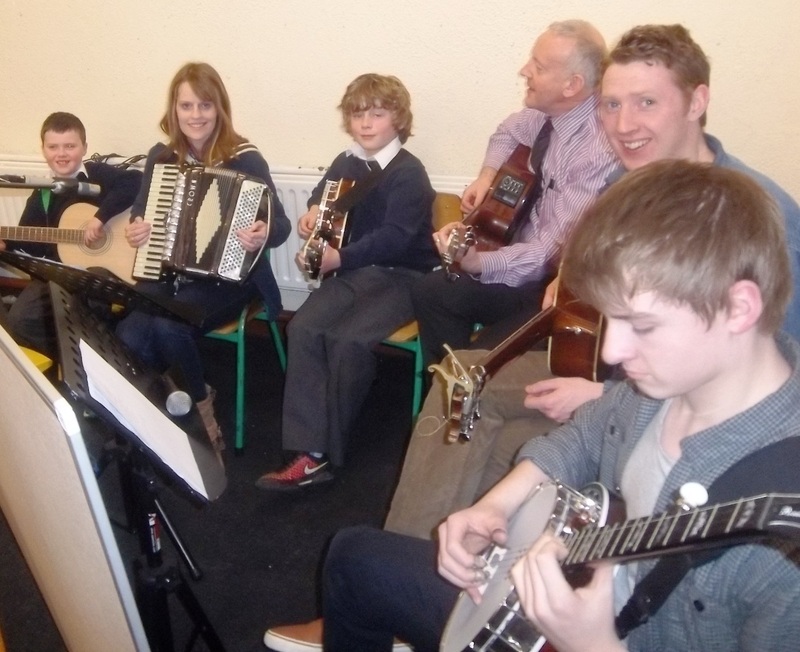 We hope to launch the CD with a sample of live performances on the night. 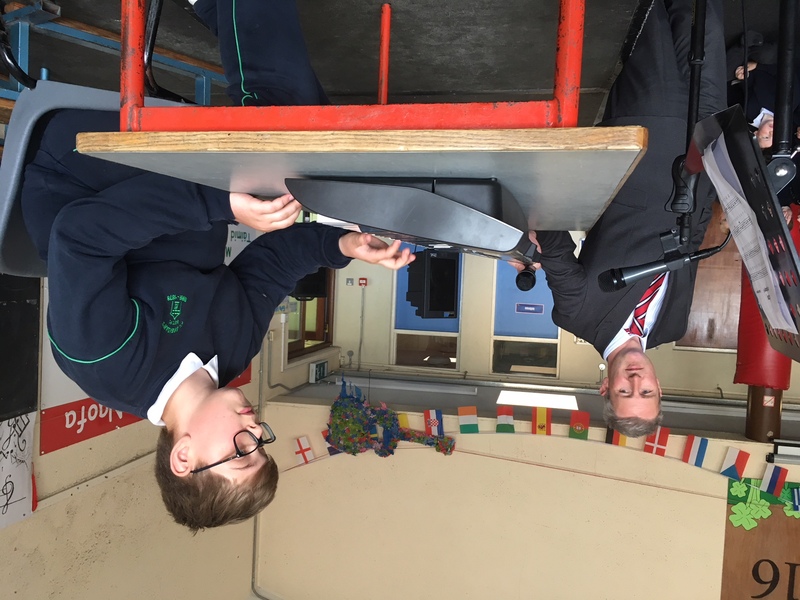 CD’s will be on sale at €10 with all proceeds going to the “Help build our Wall “ fundraising campaign currently ongoing in the school. 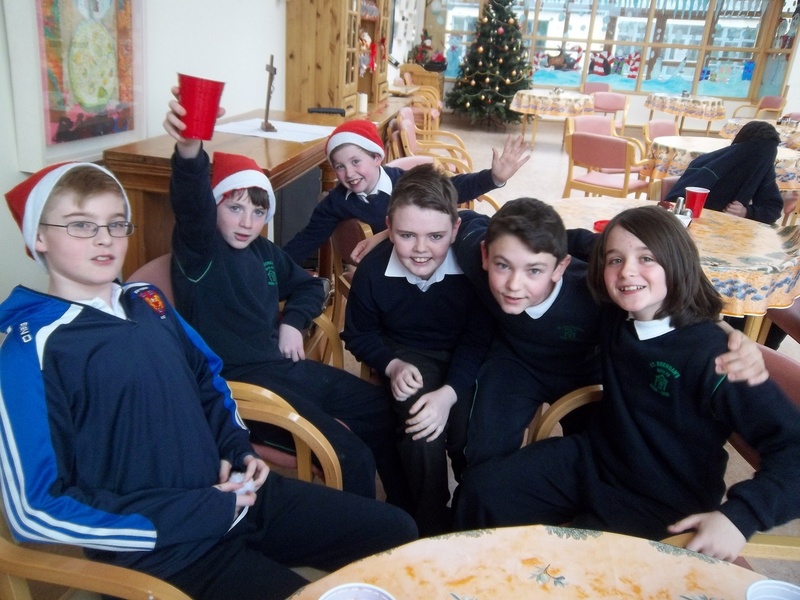 Finger food will be served and a medal presentation for the Schools Gaelic Football team will also take place. 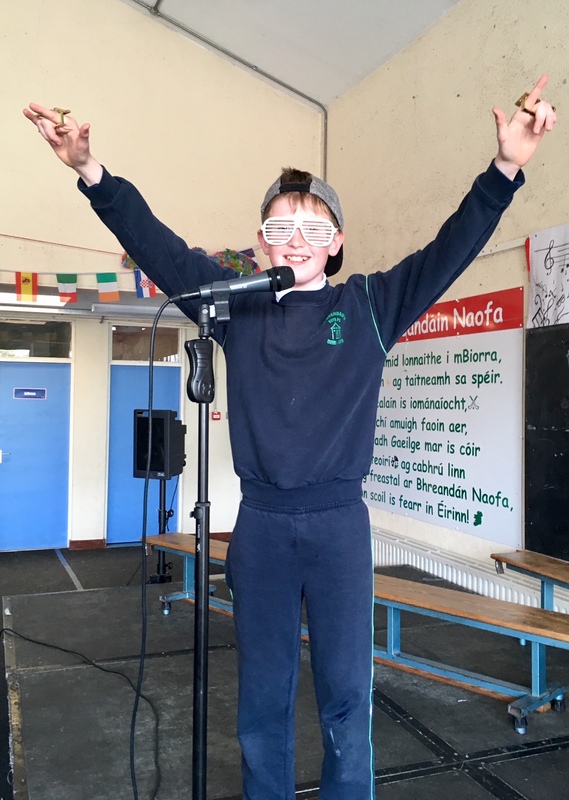 Hope to see all of the St. Brendans family, friends and school community there on the night for what promises to be a great night.